Benign airway obstruction includes a wide range of pathology that necessitates an individualized approach to management. 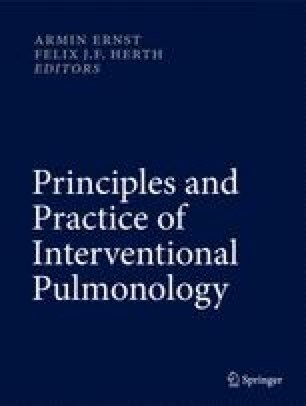 The principles are (1) stabilization of the patient, (2) thorough evaluation of the airways, and (3) selection of an appropriate intervention. Bronchoscopy plays a critical role in assessment and securing the airway. Treatment options are classified by pathology because the selection of appropriate intervention is determined by the etiology, pathophysiology, expected natural history, and risks/benefits of therapy. The prognosis of benign stenosis is seldom limited by the airway pathology itself, and so permanent, curative solutions need to be sought rather than temporizing ones. Inappropriate therapeutic bronchoscopy can result in iatrogenic complications that make subsequent surgery more difficult. Hence, patients should always be evaluated for curative surgery despite the availability of a myriad of endoscopic modalities. Conversely, many patients have limited cardiopulmonary reserve and present in an emergency setting. Surgical results are also not guaranteed, and postoperative complications are not insignificant. Therefore, the current state of the art of management involves a multidisciplinary team where surgery and endoscopy are complimentary to each other. Adnan Majid from Interventional Pulmonology, Beth Israel Deaconess Medical Center, and Low Su Ying from Respiratory and Critical Care Medicine, Singapore General Hospital, contributed bronchoscopy images. Food and Drug Administration. FDA public health notification: complications from metallic tracheal stents in patients with benign airway disorders. 2005. http://www.fda.gov/MedicalDevices/Safety/AlertsandNotices/PublicHealthNotifications/UCM062115. Accessed 9 June 2010.